Poison prevention involves many different things. There are many items in just about every home that could be poisonous if used improperly. Medication was taken: at the wrong dosage, by the wrong person, or combined with other medicines; can all be considered poisonous. Household cleaners and chemicals may also be poisonous when inhaled or ingested. 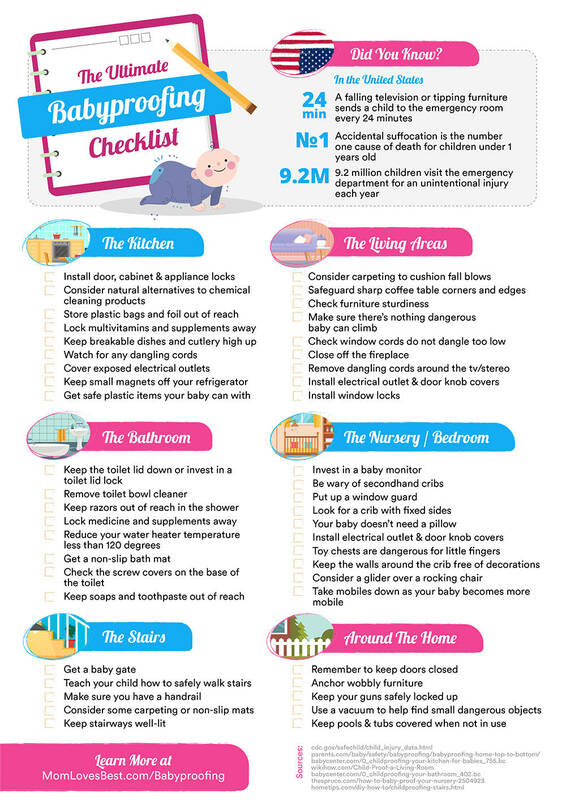 Over 90 percent of poisonings occur in the home so it is critical to make your home safe in order to avoid poisoning. Never mix chemicals or household products. Doing so could produce a hazardous gas. Never share prescription medicines. If you are taking more than one drug at a time, check with your doctor, pharmacist, or call the toll-free Poison Help line (1-800-222-1222). This number will connect you to your local poison center, which will allow you to find out more about possible drug interactions. Keep all household cleaners, chemicals, medicines, and potentially poisonous substances out of the reach of children or in locked cabinets. This entry was posted in Childproofing, Uncategorized and tagged 10 useful tips poison control center, avoiding poisoning, Carmel, child proofing, child safety, childproofing, Fishers, household chemicals, household cleaners, indiana, indianapolis, Noblesville, poison, Poison Control Centeruseful tips, poison prevention, poisonous substances, potentially poisonous, safety, Westfield, Zionsville on December 20, 2018 by 18373871. Long-Term-Care Planning can seem like a daunting task, but it doesn’t have to be. Many people wish to age within the home they have come to love. It is important to have a discussion with your doctor and loved ones to decide if this is the best option. 70% of people who are 65 or older can anticipate using some form of Long-Term Care (2). 80% of those who receive long-term care (LTC) support live in a community setting or age-in-place by living at home (2). No one enjoys thinking about themselves aging, but it is one of the inevitable parts of life. Talking about every potential scenario – no matter how unpleasant – allows you to prepare yourself and your loved ones for what may come. It is never too early to start planning. We recommend not waiting to start planning until after experiencing a life-changing incident. Do your due diligence early on and you will thank yourself later. Depending on your health and strength, your ideal option may be aging-in-place in your family home. If you need a little help and you have children who can support you, moving in with them may be idyllic. Some are able to hire live-in healthcare providers who help them perform daily tasks. While these options work for some, others need more acute care. The annual cost of LTC in a private room within a nursing home varies greatly from state to state. It’s essential to do your own research. Nearly half of all Americans over the age of 65 mistakenly rely on Medicare to take care of their needs. Medicaid covers LTC services, however this option also inflicts a strict income limit. Life insurance is helpful, but has it has drawbacks as well. Do some research and discuss your options with the ones you love. As we said earlier in this post, talking about aging is not something anyone enjoys. Allow everyone involved to express his or her opinions and feelings. This will help put you all on the same page, and allow worries to be addressed and preferences to be voiced. No one wants to give up their independence, but if it is necessary, being heard helps alleviate anxiety. Long-Term Care Planning is a process. We hope these tips help make it a little easier on you and your loved ones! This entry was posted in Aging-in-Place, Senior Home Safety and tagged accessibility, age in place, aging in place, aging in place specialist, CAPS, care planning, Carmel, certified aging in place specialist, fall prevention, Fishers, Home Modification, home modifications, Home Safe Homes, Home Safety, indiana, indianapolis, long-term care, long-term care planning, ltc, Noblesville, safety, senior care planning, Senior home safety, senior safety, Westfield, Zionsville on November 5, 2018 by 18373871. Home Safe Homes installs, KidCo brand child safety gates. Hardware-mounted gates are bolted to the walls of your home. They’re appropriate where there’s a chance of your child falling, such as the top of a stairway, indoors or out. They should be used only where falling isn’t a hazard, such as between two rooms or to discourage climbing up stairs. Custom-fit gates and fencing can be installed to enclose unsafe areas, such as fireplaces. Free-form gates and fencing can be used indoors to enclose your child in a safe play area. Home Safe Homes also offers and installs cabinet locks, drawer latches, furniture anchoring, and TV mounting. Our team members will work with you and can make suggestions of where to strategically place safety gates, locks, latches and anchoring to help ensure the safety of your children. Another way that Home Safe Homes can give Sandwich Generationers more peace of mind is by making their pools safer. The Protect-A-Child, Pool Fence Systems we install do exactly that. The Protect-A-Child Pool Fence is made with composite fiberglass pool fence posts, with their superior, long-lasting construction, is guaranteed to never bend or break. Our mesh pool fence is completely removable, and it takes only a few in moments to do so. This means it can be removed when necessary and you can take it with you from home to home. With a lifetime warranty, your pool fence will remain safe and attractive for years to come (“Services” 2018). 100% composite fiberglass posts and moldings. Post color is “built-in” with colored resins rather than painted on or coated like aluminum. Impervious to water, sun, and weather. Does not become hot in the sun like metal posts. Assembled with our super strong, weatherproof, PVC coated polyester – transparent mesh. Does not conduct electricity – meets all Electrical Codes for your pool. Home Safe Homes has been installing child safety measures since it opened in 2001. Our team is passionate about child safety and has 17+ collective years of experience. We can help you determine what the best solutions are for protecting your little ones, and get them installed efficiently and securely. Contact us to set up a home safety evaluation and or pool fence installation. We look forward to hearing from you! “Services.” Home Safe Homes, Home Safe Homes, 2018, www.homesafehomes.com/services/. This entry was posted in Childproofing and tagged cabinet locks, Carmel, child locks, child proofing, child safety, childproof, childproofing, drawer locks, Fishers, hardware-mounted gate, Home Safe Homes, Home Safety, kidco, Noblesville, pool fence, pool fencing, pool safety, pressure mounted gates, pressure-mounted gate, protect a child, protect-a-child pool fence, safety, safety gates, Westfield, Zionsville on August 3, 2018 by 18373871. Vision loss occurs gradually as we age. The American Academy of Family Physicians reports that the leading cause of vision loss is Cataracts. Cataracts affect half of the individuals who are 75 years or older. More accidents happen inside the home than anywhere else, even for individuals who are not blind or otherwise visually impaired. Consequently, it’s imperative that everyone develops and maintains strong safety habits in and around the home. For those who are starting to experience vision loss, this is especially true. There are many practical and inexpensive ways of making a home safer for individuals with visual impairment. Make sure their home is well lit, with high-wattage light bulbs and additional lamps or task lighting. The kitchen, bathroom and work areas all should be fully and evenly illuminated. Under-counter lighting is another type that works well for illuminating the kitchen and other larger work areas. Different qualities of light (more white or yellow, for example) might make it easier to see depending on the type of vision loss someone lives with. It is beneficial to determine which types of bulbs produce the best kind of lighting to help your loved one see most clearly. Keeping lights on during daytime hours helps to equalize lighting from both indoor and outdoor sources. Keep electrical cords as close to the baseboards as possible and out of walkways. Keep floor lamps and small items such as low tables, magazine racks, and plants out of walkways. Clean up spills immediately. If you forget the spill is there, it could become a slipping hazard. Make sure your bath mat has a non-skid backing. Create a list of important phone numbers in large print on bold-lined paper. Include doctors, transportation, and emergency contacts, and put the list in a convenient place. Clearly, mark stove dials and label all medications. Label cleaning and toxic products to make them easily identifiable, and store them and any flammable or combustible items away from the kitchen or heating units. Mark stairs or slopes with brightly colored tape. Eye-catching colors that contrast with the flooring work best. Suggest purchasing a large-screen television that produces high-contrast images. Use brightly colored, fluorescent tape to mark the settings you typically use on your thermostat. Offer to help with organizing important items and packing up others. Organize cupboards and specify exact locations for important things. If the cereal is always on the middle shelf of the pantry, for example, your loved one will not need to strain to try to determine if it is cereal or something else. Set up consistent places for mail, keys, and other important items. Routine eye exams are essential to make sure you are wearing the best vision correction possible. Bursack, Carol Bradley. “How to Make Life Easier and Safer for Seniors with Low Vision.” Legal Documents To Make Healthcare Decisions for Elderly Parents – AgingCare.com, Aging Care, 3 May 2018, www.agingcare.com/articles/making-life-easier-for-older-adults-with-low-vision-111675.htm. Heiting, Gary, and Marilyn Haddrill. “Tips for Coping With Vision Loss.” All About Vision, June 2017, www.allaboutvision.com/over60/living-challenges.htm#top. Nesburn, Anthony B, and Judith Delgado. “Vision Loss and Blindness.” Selected Long-Term Care Statistics | Family Caregiver Alliance, Family Caregiver Alliance, 2008, www.caregiver.org/vision-loss-and-blindness. “Safety in the Home.” Continue Painting with Vision Loss – VisionAware, American Foundation for the Blind, 2018, www.visionaware.org/info/everyday-living/home-modification-/safety-in-the-home/123. This entry was posted in Aging-in-Place, Senior Home Safety and tagged accessibility, age in place, aging in place, aging in place specialist, blink, blog, CAPS, Carmel, Cataracts, cateract, cateracts, certified againg in place specialist, certified aging in place specialist, fall prevention, fall risks, Fishers, Home Safe Homes, Home Safety, home safety eval, home safety evaluation, indiana, low vision, Noblesville, reduce, reduce fall risk, routine eye exams, safety, Senior home safety, senior safety, vision impairment, vision loss, visual impairments, Westfield, Zionsville on June 18, 2018 by 18373871.